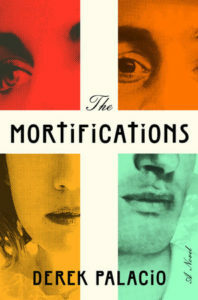 Derek Palacio’s first novel, The Mortifications, was published in 2016 by Tim Duggan Books, an imprint of Crown. The story of Soledad and her two children, Ulises and Isabel, immigrants to Connecticut from Cuba, and the revolutionary father who haunts their lives, Uxbal, has been called “extraordinary” by The New York Times and a “gorgeous and challenging debut” by Kirkus Reviews. 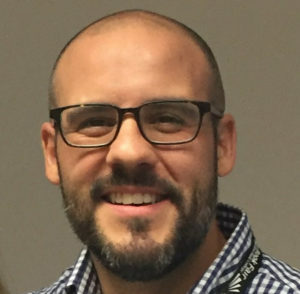 Palacio earned his MFA in Creative Writing from Ohio State University. He is co-director of the Mojave School, a free creative writing program for teens in Nebraska, and is a faculty member of the Institute of American Indian Arts MFA program. His previous work includes the novella How to Shake the Other Man (Novella Books, 2013) and the story “Sugar,” which was included in The O. Henry Prize Stories 2013. We are delighted to also share his story “Kisses” in the 41.1 print edition of The Florida Review. “Kisses” was chosen as our 2016 Editors’ Award in Fiction by final judge Mark Wisniewski. I wanted to start off by asking a little bit more about something you said in your Kenyon Review interview. You said, “I am not writing about Cuba so much as I am writing about my idea of Cuba, my abstraction of the island.” Can you talk a little more about the difference and, perhaps, how you think this idea of Cuba as opposed to the reality of Cuba—if we admit that there is such a thing—influenced you growing up and becoming a writer? It really begins with my father who’s from Cuba. He left when he was five years old in 1956, so he left the island a very young age. What he remembers of the place are just some fragments, these sort of brief, visual snippets of the house he grew up in, some of the gardens out back. He has an image of his father on horseback that he remembers, but, even for him, it’s all sort of ethereal. So, growing up with that—I feel like that was probably the foundation of my understanding of Cuba, which was inherently and innately a little bit dreamlike. Then just having to learn about Cuba through books and TV and from such a long distance. We didn’t even grow up in Miami with other Cubans. We were up in New Hampshire, pretty far away. There were a lot of intermediaries between me and the island, and I think that contributed to this idea of I’m trying to write towards Cuba and get an understanding of Cuba but admittedly until I go it’s always going to be a little bit cloudy, a little bit murky, a little bit intangible. Of course, it would have been a different time then anyway. Things do change, and so there’s always that aspect of it as well. It’s almost like we have a new generation of Cuban-American authors. In some ways we might see a parallel with Jewish holocaust–related literature, where we had the survivors and their generation, the Elie Wiesel generation, and now we have Jonathan Safran Foer, Nicole Krauss, Daniel Mendelsohn, and others, who are much younger, second- or third-generation, but still writing with reference to that. For Cuban-Americans of your generation, how do you see the Cuban migration mythology working in new ways? It’s interesting you bring up sort of that Jewish literary tradition because I’m a big fan of Eva Hoffman’s, and she writes [in After Such Knowledge: Memory, History and the Legacy of the Holocaust] about the way the children of survivors or a couple of generations down from the Holocaust, the first thing they learned about the Holocaust is the myth itself, and they have to move from the myth to the reality. I remember reading that and thinking to myself, That explains exactly sort of the trajectory I’m on in my own writing. I’m dealing with Cuba from a distance, and I’m hoping to get closer to the reality and piece it together. So you start with the feelings you have about the island, feelings you’ve been taught about the island from your parents, and then you move from that to the place itself or at least other sources about it. It was wonderful to read Hoffman and see that other people have written from this sort of weird, amorphous emotional center and then found the place later in different forms, in different versions. That’s not to say I think that one is more true than the other, but I found that really heartening and interesting. Do you have plans to visit Cuba? How did that work in relationship to your book? Were there things that you were thinking, I wish I had known that, I wish I had captured that? Did it feel like these two things are part of each other? I would never claim I got it all right, but I don’t think I got it wrong. When I was writing the book, I was very conscious of the fact that I was writing without a certain layer of expertise that we assume or hope for from our writers in a lot of ways. I knew I was going to make mistakes, but I did my best to err without abusing the material. What I saw there was interesting because the book takes place in the nineteen-eighties, but now we’re thirty years away from that, so I knew it would be hard to compare. But there were enduring elements to the island. The journey began in the center of the island, then we moved to Havana, and it was wonderful to see the way the landscape looked and worked, and that seemed to fit closely with my ideas about it. I felt at least in that that regard some element of my writing felt true. Do you feel as though you were reliant on the previous generation of Cuban-American authors? Did you read a lot before you pursued your own mythical approach? Very much so. The book that really got me started writing about Cuba was Reinaldo Arenas’ Before Night Falls. I’d read The Mambo Kings Play Songs of Love by Oscar Hijuelos, I’d read Christina Garcia. But there’s something about that book—it was in Cuba. It wasn’t about people coming to America or assimilating to a new culture. But it was also just so expansive. I think of that book and the way it begins in the countryside and him growing up in a very rural area and then moving toward the man and the city. That book for me showed me how Cuba is so big and there’s so much going on there and I have these connections I’ve been thinking about for a long time and maybe now is the time to start exploring them in a little bit more deliberate way. I loved your evocation of the landscape. One of the things that interested me about your book was that I thought that your use of the third-person limited point of view was really masterful. The way that you could get very close to one character and then back away a little bit—that’s the great thing that third-person gives you is that flexibility. But I was also interested in how that affected the characterization. I was fascinated by Isabel because I found her repellent but riveting. So, I wanted to know if you had a favorite character and whether the decisions that you made about your characters influenced the point of view choice that you made. How did that work for you? When I first sat down to write the book, I had just finished reading Roberto Bolaño’s “The Insufferable Gaucho,” which is a wonderful story about a guy who returns to a home he’s basically forgotten about. I got fascinated with that idea, which seemed to mirror some of the things that we’re going on in my dad’s experience and maybe for Cubans in general. I thought the book was mostly going to focus on Ulises and in the early drafts it does. Even still it narrows down at some points and we sort of we forget some of the other characters. However, getting them back to the island in that first half of the novel required that everybody’s pieces were moving in line with each other or affecting each other. The Isabel storyline became so much fun to write and so much fun to think about. Originally, he was going to be an older brother and Isabel was going to be a younger sister, and then I realized there’s some balance that needs to happen here, and so that’s when I decided that they would be better if they were twins. Neither one of them can make it back to Cuba without the other or to that reckoning that happens at the end without the assistance of the other. Because in some ways they are so different. You can imagine that there might be a break between them except that being twins really bonds them. Are you a writer who extends love to all your characters? What’s your relationship with the character of Isabel, this odd Catholic visionary? Is she a character you love? I think so. I grew up Catholic and went to a Catholic school even all through college so I can relate to a lot of the Catholic systems that she’s trying to discover herself in and through and as a part of. Writing her was fun because she has a sort of wild spectrum of experience compared to some of the other characters. But it was also very difficult writing her. The scene where she has her vision and then her experience at the hospital where she doubts whether or not she actually had that vision—those were difficult to write. I have those same questions about faith, and I think about what role it does and does not play in my life anymore. I think even through our twenties—which is where she gets to by the end of the novel—that’s a period of thinking about rejecting your old self and wondering How do I reject parts of myself and keep other parts? It can be hard to stomach. Isabel reminded me of those mystics like Julian of Norwich and Hildegard of Bingen, those visionaries of previous centuries, or Dorothea of Montau, as depicted by Günter Grass in The Flounder. I don’t mean to give Ulises short shrift—he is a great character. It felt to me like Ulises was the more obvious you character, but you channeled yourself into both of them in a really interesting way. Can you talk about the ways in which you draw yourself out through your characters? Is that something that you do consciously? I’m becoming more conscious of it. I’m married to the writer Claire Vaye Watkins, and she and I talk a lot about our differences. I tend not to write about biographical stuff very often, and she tends to make good use of that in her work. Or at least that’s the way we used to think about it. Right after I published this book and started re-reading it and understanding it in the ways that you can only after you get some distance, I was Oh, there’s a lot of me in this novel, or at least a lot of the things I worry about. The inspiration for Isabel was the female lead from Louise Erdrich’s The Last Report on the Miracles at Little No Horse. What I loved about her was seeing a character so driven to get a want and to feel and experience a want and then just drive drive, drive, drive for it. That’s something that Isabel has, that persistence, that just moving forward. But it’s also something I think I have a bit of myself. With Ulises in terms relationship to me, he can sit back and see things, and there are times when I pull back, too. It was a nice dynamic to have in terms of working out the plot. It works beautifully. I wanted to ask you a more general question about the evolution of The Mortifications and the process of writing. You have been working on a collection of short stories about Cuba for quite some time. Is the story that we’re publishing in 41.1, “Kisses,” part of that collection that you’ve been working on for a while? What relationship does The Mortifications have to that short fiction? Did it come out of one of the stories or was it something separate? Once I knew that, I sort of devoted most of my time to work on the novel for the last few years, and only now I’m trying to return to the collection and filling out the gap that taking the intended novella out of that collection left behind. So, “Kisses,” the story that we’re publishing this spring’s print Florida Review [41.1, 2017] is a futuristic story. In The Mortifications, there’s certainly religious mysticism, if not the fantastic. Can you comment upon the element of fabulism and futurism in your own writing? That tradition has been so different in Latin American as compared with the U.S. How do you see all of that working in your writing and the way that attitudes toward the non-realist is changing in the U.S.? I saw an article that was up online at LitHub about how having Bolaño published and do so well in America really opened things up nicely for more translations of Latin American literature, and this switch has been beautiful. I love Valeria Luiselli. I just read Mauro Javier Cardenas’s The Revolutionaries Try Again. There are all these wonderful books that are coming out of that tradition, and I think the other thing is that sense that behind the magical is also the political. When I was thinking about writing this future Cuba story, I had just also seen that documentary Exit Through the Gift Shop about Banksy and graffiti artists, and I was like Oh man, what an interesting guy, and I was thinking What would that would look like in Cuba, people sort of marauding around in a futuristic Cuba tagging things? You know, what if the state grows a little bit and there’s a little bit less control in some areas but greater control in others? Once I got into it, it seemed possible to imagine some of the ways the politics would expand. If we’re going to open up relations with Cuba, then why not put a tunnel under the Florida Straits that will take you straight from one place to the other? Similarly, the idea of the World Cup happening in Cuba I think is actually a really good prediction—I feel like we’re gonna do that soon [laughs] because every Third World country that is trying to come onto the stage as having developed and grown—that seems to be now a hallmark of that process, right? You get the World Cup. So I was interested in trying to figure out how those elements might converge and what they might look like. I want to ask a little more about the science fiction aspect. I ask because there seems now to be a lot of ground being staked where, rightly, I believe, writers want to tear down the wall between science fiction and literary writing, but sometimes it feels forced. Obviously, we didn’t think so in your story. But how conscious was that decision for you? For me, especially in this particular story, the draw of the future, of a futuristic setting was not so much about just having that element. I had been reading something about the Confederate flag issues going on in this country, and thinking about how in the future, in the way that we have Confederate apologists now, depending on what happens, we may have these hangers-on to the Cuban revolution, people who look back on it with extreme nostalgia and are willing to overlook things like the Special Period and all the hardships put on those people. That was really the doorway into it—trying to imagine, Wow if I can go this far ahead and explore that element, it would be in service to grounding out what a believable future would look like in Cuba. But also all in the service of exploring that story’s main character. If the future is tied to those sorts of character elements, then I think there will always be a place for it. I think that’s particularly relevant right now because we’re in a moment when the future feels more immediate, and many of us have been projecting into the near political future, rather grimly sometimes, about what’s going to happen next. What else can you tell us about The Mortifications or about what you’re working on now, where you’re going, what’s next? I think that writing The Mortifications was sort of a mythic experience, but now that I’ve been to Cuba I’m trying to work on new projects that move me more toward a realism that explores what I now better understand. Of course, I’m still coming to understand more about the island. I’m trying to finish that short story collection that we talked about, but I’m also in the process of starting a novel series about a Cuban-American Olympic swimmer who fails to make the U.S. team and so he defects to Cuba to swim in the Olympics. Looking back on The Mortifications, I noticed many times it was not engaging with my own anxieties about calling myself Cuban and trying to understand what it means to be Cuban—you know, I don’t speak Spanish. In the novel I was trying to reconcile some of that through all of these weird trappings, and now I’m more aware that the best course of action for me is to run right at it [through the Olympic swimmer character]. It’s interesting how there’s this draw toward it for you, like you never felt at home in New Hampshire. Did you not feel at home in New Hampshire or is it just a tension? I love New Hampshire, and I love the friends and family I still have there, but I don’t know if I would call it home in the way we all mean when we say home. It doesn’t satisfy maybe all the needs that I would look for in a home. It’s a wonderful place, and it served me very well, but, yeah, there’s something about my Cuban identity and discovering that, engaging that once I got into writing that seemed important. Lisa Roney is the editor and director of The Florida Review and Aquifer: The Florida Review Online. She is associate professor of English at the University of Central Florida and the author of Sweet Invisible Body: A Memoir of Diabetes (Henry Holt), The Best Possible Bad Luck (Finishing Line Press), Serious Daring: Creative Writing in Four Genres (Oxford University Press), as well as short work in numerous journals and literary magazines.